Bask in the warm rays and stunning hues of the setting sun as you drift through the waters of New York Harbor on a spectacular sunset sail! Departing from famous Chelsea Piers themselves, this lovely sail sets forth down the Hudson River towards Battery Park, passing by the iconic Statue of Liberty National Monument islands, Ellis and Liberty, before swooping further along lower Manhattan through the waters of New York Bay and the Buttermilk Channel. Then it’s off towards the East River for fantastic views of the Financial District and Lower East Side, even the Brooklyn Bridge! There’s no better vessel to make this intimate voyage on than the America 2.0. Modeled after the 19th century racing yacht that won the very first America’s Cup international sailing trophy, the America 2.0 replicates both the elegance and speed of her predecessor. 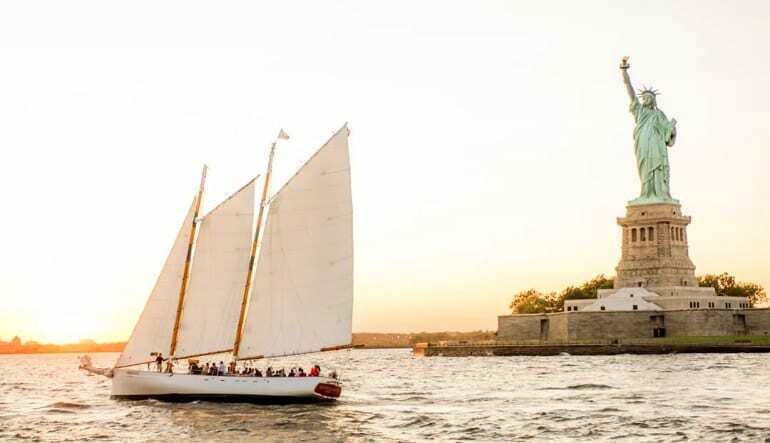 Two-hour sail aboard the America 2.0, a 105 ft. revival of the famous 1851 schooner that won America's Cup! 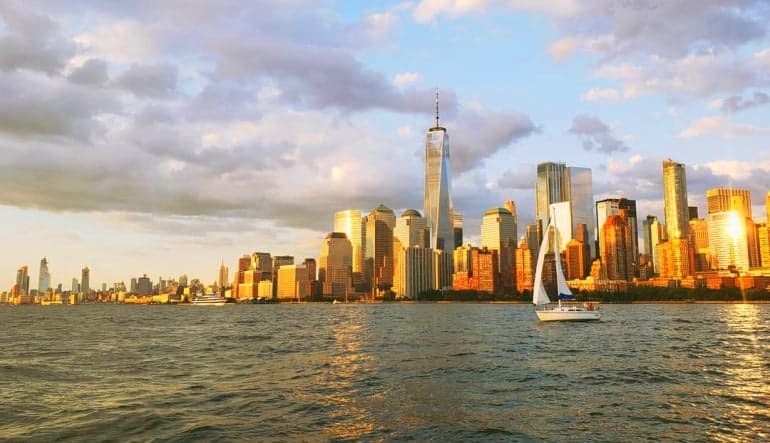 Whether you want to stand at the prow or relax back into the comfortable bench seating, a sunset voyage around Manhattan is an excursion not to be missed. 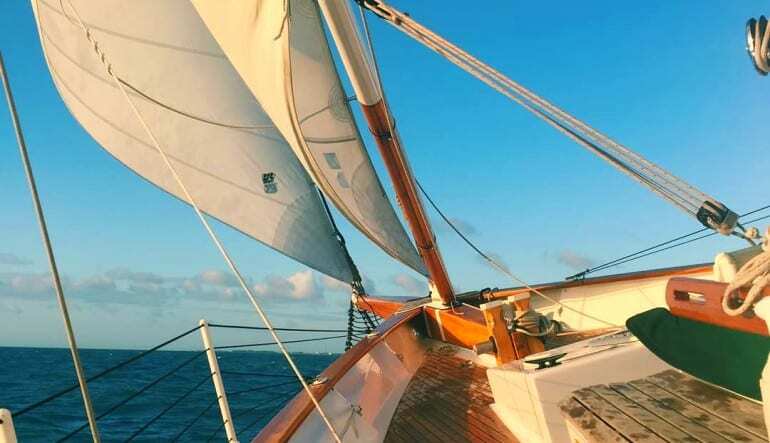 Set sail to soak in all the majestic shades of the setting sun on this NYC sail today! 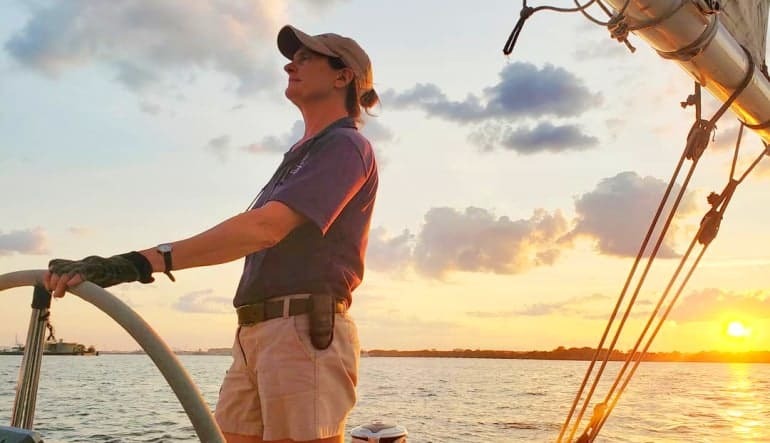 Two-hour sunset sail aboard the America 2.0, a 105 ft. revival of the famous 1851 schooner that won America's Cup!